Religion is the most ancient and profound set of beliefs ever known by man. The power of religion has been proven time and time again throughout history. The very foundation of understanding science and the world around us began with our understanding of a higher power and respect for others religion. No matter what faith you follow, they are all based around the same ideas of higher principles, ways of life, and guidelines on how to interact with others. Many profess miraculous feats of performing the impossible: Moving large bodies of water, causing rain or fire, healing the sick, all with sheer will. Another commonality between all religions is the belief that power is located above the clouds. 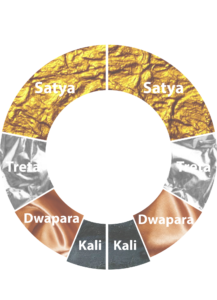 Before we further explore these concepts, it’s important to understand the cycle of our existence and where we are at. We are just a few hundred years into the Age of Energy period of our ascension cycle. We now understand that energy underlies all matter. This is a critical era and really the staging point to our true understanding of the universe around us. We are like reckless teenagers who are just beginning to understand our purpose through adulthood. The understanding that matter and energy are interchangeable E=mc2(matter can create energy and energy can create matter) is a crucial point for our quest to understand the truth. You see, both energy and matter are simple tools controlled by us. Think back to the torus, and how we are each surrounded by our own energy field. The more we understand and recognize this energy, the closer we get to being able to control it. 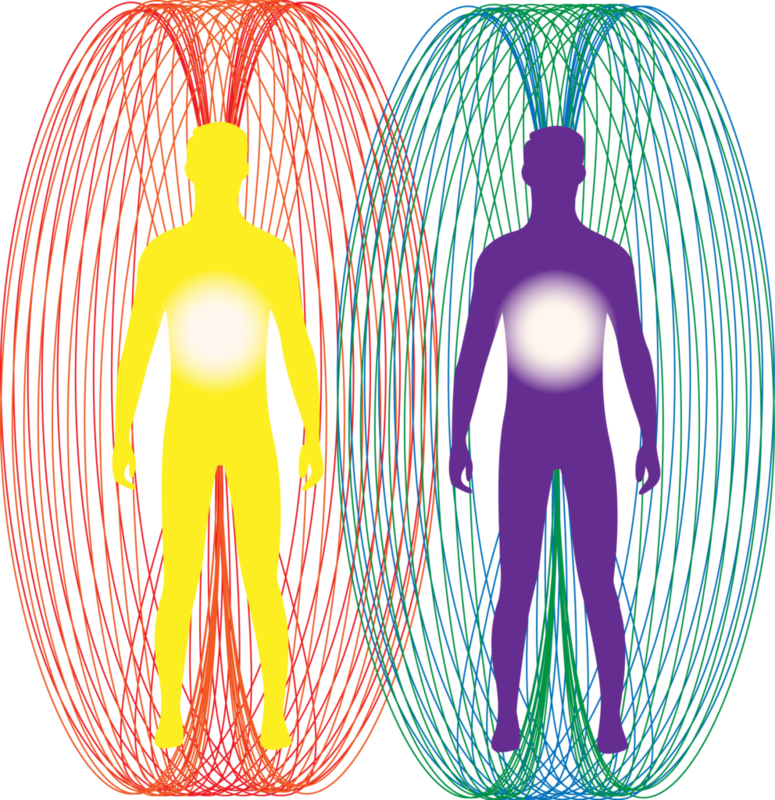 To enter one’s “Light Body”, is to fully harness your body’s toroidal field and be able to control power similar to angels, or demi-gods from religious texts. Now, let’s step away from humanity and earth for a moment and look to the stars. Here we can clearly see the base of all religion and everything we cannot yet understand. Regardless of your religious beliefs, it cannot be denied that the stars, in a way, are gods themselves. Every atom of energy that has ever been, is a gift from our sun. Our bodies, the air we breathe, the food we eat, and the planet with live on, are all a gift from the Sun. Father Sun, Mother Earth. The gods we seek are staring at us from up in the sky this whole time! “God”, is a form of energy and we ourselves are made in his image (also energy). The more we increase our understanding of energy and increase our amount and control over our energy, the closer we get to “God”. Energy, magnetism, and light. The field around our bodies can be easily recognized. When touching another person you can feel it. That tingling sensation you get, even when just touching the tips of your two index fingers together, you can feel it. Tai-chi, right? Think of the revelation this very small amount of control over our body’s energy truly means. We truly do harness powers far beyond our comprehension. We control electricity, magnetism and light everyday of our lives. We control our bodies through our central nervous systems, which uses electrons and photons to send signals, electricity and light. Our bodies and cells bond together by magnetic forces as well. The future holds incredible wonder for us all. The things we currently consider advanced technology are simple building blocks in the grand scheme of our ascension. As the universe continues on its path, the Earth’s field will strengthen; the atmosphere will thicken and increase in density, as life increases and we get closer to higher energy. We will advance and get more in touch with ourselves, our brains, and our energy fields. We'll eventually have the kind of power where we can connect and shoot electricity, magnetism blasts, light energy, shining light, the holy aura, the angel shining white light. It's all true. Science will eventually tie religion, science, philosophy, and sacred geometry all together, to complete the Holy Science. God’s one full and real truth. Provable, measurable and repeatable, and holy in its creation. Whole science, holy science. It’s just young in its ideology at this point. People and science need more time to catch up. People look at science now that it's a religion in and of itself. Like, science says this (factual and absolute). Science is like a cup just starting to fill, very very young and we're constantly breaking through new developments and it's a constantly evolving thing. It's not a concrete truth yet. So things are going to catch up. We're going to tie these together and that's what light body is. We’ll get to the point where we are literally angels or demons depending on the individual. Spiritual consciousness incarnate in this dimensional plane. This evolution is the awakening. There will be zero separation between science and religion. Rather than science and religion being in a fight with one another, instead will support one another. All supernatural religious claims will be provable, demonstrable and repeatable. Individual humans will be able to be measured in their ability to harness and control life energy. To comment on the ascension of the consciousness vs the ascension of the consciousness focused on manifesting such as feats of super humanity discussed above. Let’s not forget that feats performed by psychics, yogi or spiritual masters are no less profound. One of the most profound feats is simply to let go and dissolve one’s own ego. Not an easy task to say the least. If you are not the type to shoot off an energy blast, you may be the type who can heal and bring forth life. Yin and Yang.